Burne's writing is clear, but his 1940s English attitude makes for some odd turns of phrase. More troublesome, his penchant for creative interpretation of primary sources leads him to some unfounded conclusions. For example, his novel assertion that English archers were deployed in "wedges" within the overall battle line has been repudiated by professional historians including David Nicolle and Matthew Bennett.As one of the many amateur soldier-historians of the post-WWII era, Burne's conclusions are interesting military opinions but not quite academic-level scholarship. The Fourteenth Century is "my" century, and in my career I've been a professional military officer, Medieval historian and author.Perhaps that's why I admire Lt-Col Alfred H. Burne, D.S.O. and Fellow, Royal Historical Society, who wrote this valuable history book back in the 1950s using his own combination of skills as historian, professional military tactician in the British Army, and story-teller. After nearly 50 years THE CRECY WAR remains the best retelling I've read of the English military campaigns in France during the first half of the Fourteenth Century.No other book written in English approaches it for insight as well as information. Like certain other Medievalists who served in World War II, Burne was assigned to the Allied staff developing the strategy of "Operation Overlord" -- the Normandy Invasion -- since the landings were planned for the La Manche coast near Cotentin, a few miles from the 1346 landfall of the English army.The entire 1944 buildup to D-Day, not only the landing site but the earlier diversions, intelligence gathering and disinformation campaign, were deliberately patterned after Edward III's successful Normandy invasion of 1346. Unfortunately the WWII forward thrust through France was a great deal more difficult and costly than the 1346 chevauchee that led to England's overwhelming victory at Crecy, then to the capture of Calais in 1347. I share Burne's dubious, occasionally hostile, opinion of King Edward III of England. Edward's obsession with the throne of France caused social, economic and political upheavals throughout Europe and the unnecessary loss of tens of thousands of lives, with the suffering falling most heavily upon the poor of France. Burne even compares the English king to Hitler.Edward's motives were primarily those of self-aggrandizement, and he was not a particularly talented battle leader, commanding the Reserve division at Crecy, which meant that he stayed out of the fight and watched it from a tall windmill (rebuilt in our time as an observation tower for tourists).The king had the good luck to possess brilliant and loyal kinsmen and noblemen, and from them he chose as his field commanders some of the finest Britain has ever known. A few historians like T.F. Tout have recognized Northampton's prowess as both strategist and leader of troops.He never lost a battle.Oddly, he was the quiet one of a pair of twins -- the other died very young in the wars in Scotland -- who might never have been noticed for command if his affable twin had lived. Burne's contribution is to give us valuable glimpses into the warrior career of this unobtrusive "unknown soldier." These include crossing a broken bridge over the Seine on a 1-foot-wide plank, taking the French by surprise and assuring the English command of the right bank.Northampton's genius lay not in swashbuckling, however, but in strategic planning.Early on he recognized the excellence of his grandfather Edward I's tactic of massed Welsh and English archers, unused between Edward I's death in 1307 and the early 1330s, during the border wars with Scotland. During these campaigns, while still only a youthful knight in his early 20s, Tout believed that William Bohun began drilling his men in combined formations: massed archers working alongside unmounted knights whose swords protected the archers and "hedges" of pikemen similar to the schiltrons of Robert Bruce.His armies became expert at planting hidden "booby-traps." These combinations proved formidable against armored cavalry and resulted in English victories not only at Crecy but earlier at Halidon and Morlaix, and (resuscitated by Northampton's great-grandson Henry V) at Agincourt.Of the major English land victories in this period, only the Black Prince's generalship at Poitiers and Najera made use of old-fashioned cavalry, and Poitiers was won more by luck than skill. Burne was the first to give us details of Northampton's swift march over the mountains of Brittany to catch the French by surprise, the archery-dominated battle of Morlaix, the battle and aftermath of Crecy, his leadership during the siege of Calais, and his service as a diplomat, up to the invasion of France in 1359-60 when he suddenly drops out of history, either ill or wounded.Perhaps because he died so young, under the age of 50, Northampton is forgotten.Even in his own day he was so retiring that he was passed over as one of the Founder knights of the Order of the Garter (ca. 1348), and had to wait in line for his nomination despite overwhelming qualifications.One historian (not Burne) has speculated that King Edward preferred amusing courtiers and that William Bohun may have inherited his father's melancholy personality.Even so, this Fourteenth Century Earl of Northampton might be ranked the greatest general, next to Wellington, that England has ever produced. A journey to France can be a journey through history-tragic and stirring names from the past scatter the French countryside: places such as Agincourt, Crecy, Aquitaine, Rouen-where Joan of Arc was burned by the English at the stake, a stretch of beach on the Cherbourg peninsula where Edward III knighted the Black Prince, and many more. This useful book will pinpoint the places for the visitor, explain their historical significance in the context of the war, and also show, with photographs, maps, and sidebars, what there is to see and do in the town or at the site today. Many people only remember the Hundred Years War through Shakespeare's famous speeches in Henry V that relate to the Battle of Agincourt. In this excellent book, the author explains how the conflict began, how the tangled dynasties of France and England led to the years of clashing over the royal crowns, and where and how the skirmishes and battles were fought. 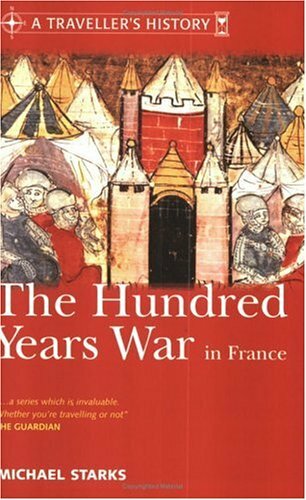 This is a great concise 90 page overview of the Hundred Years War.Lots of pictures and maps.The War is broken up into 4 different phases showing how it changed from the first to the last phases with the English finally pushed out.If the French could take any consolation,the Wars of the Roses broke out in 1450 as a direct result of the Hundred Years Wars. Unfortunately however the French had their own civil war which also came about from the Hundred Years War,but at least the major English armies were tied to their own islands.The only good it seems that came about was the final extinguishing of continental land claims by English Kings.These claims were in existence since the time of William the Conqueror and even before.Instead of using war outright as policy to keep an influence on the continent,the English will now use diplomacy and politics to maintain a continental influence. War comes only when the other 2 fail.At any rate England will refuse to be isolated and continental ties are the lifeline.This is a well researched pamphlet style book,a superb general overview. Curry's book provides an excellent overall reference for this long and varied conflict.Different sections cover the politics leading up to the outbreak of war, the overall campaigns of the various phases of the war, brief individual histories of three mid-level combatants including Bertrand du Guesclin, and a summary of the effects of the war.The material is well-organised and clearly written, and the maps illustrate the overall geopolitical context.Readers interested in detailed accounts of the battles should look elsewhere, but Curry's volume is an excellent overall reference. I read history books to learn all about world history and I expect this to be an enjoyable experience. I bought this book because the other reviewer gave it 5 stars. I guess I am looking for a Reader's Digest version of this series of wars that explains everything in layman's terms (and it wouldn't hurt if there was a little excitement or inspiration in it). I am next going to read the Seward book on this subject (because it is inexpensive and it has 5 stars ratings) and then I will compare the 2 books. No one should buy this book if it is only your first or second book on the 100 Years War and you are not a history student and dont know that much about French and English history. This book was just very boring. After I read the Seward book, I will re-read this book and see if I can give it more stars or not. If you think of the Hundred Years War, epic English victories like Crecy, Poitiers and Agincourt would probably come to mind.However despite these impressive military triumphs, the fact is that the French ultimately won the series of wars that stretched out over a 116-year period.Anne Curry, an English expert on the Hundred Years War, brings her considerable knowledge of the subject to bear in Osprey's Essential Histories volume #19.Quite simply, this volume is a tour de force in that the author presents a complex subject with insight and depth.Unlike some of the other volumes in this series, The Hundred Years War 1337-1453 represents a real research effort and not just a condensation of other sources.This is one of the best volumes that Osprey published in 2002. 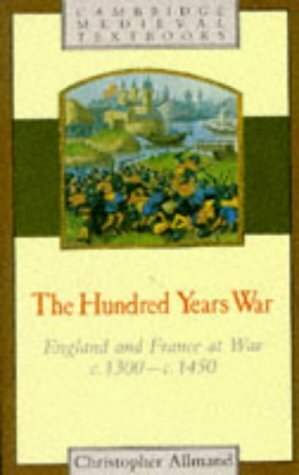 As usual, The Hundred Years' War 1337-1453 begins in standard Osprey format with a short introduction, a chronology, a background to the war and the opposing sides and how the war began.The narrative of the war itself is 38 pages in length.Final sections are portrait of a soldier (one French and two English), the cruel nature of the war (attacks on civilians, raids on England), portrait of a civilian (the remarkable female poet and historian Christine de Pizan), how the war ended and conclusions.The author has provided a substantial bibliography as well as genealogical tables for both the French and English nobility.There are a total of ten maps (English lands in Gascony, campaigns in Northern France in 1340, campaigns in the north in 1341-1359, the campaign of 1346, the campaigns of the Black Prince, the second phase of the war, the Agincourt campaign, campaigns of 1415-1428, English garrisons in Normandy, and the defeat of the English) in this volume and they add great value. 13. THE CRECY WAR. 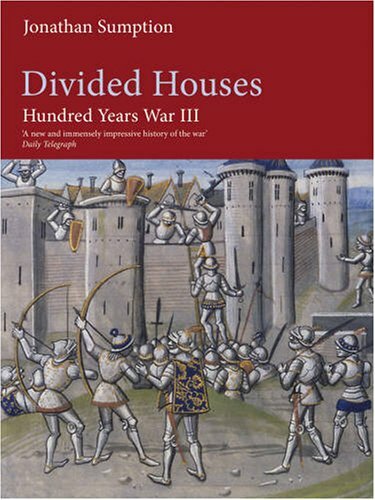 A military history of the Hundred Years War from 1337 to the peace of Bretigny, 1360. 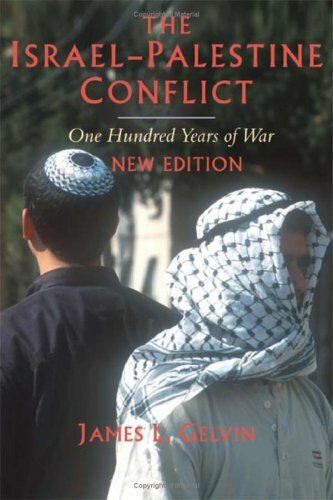 Clearly written in a conversational tone Gelvin's book serves as an excellent framework for understanding the history the Israeli/Palestinian conflict.What sets it apart from many other books is its willingness to look into factionalism on both sides. On the Zionist side he correctly notes the schism between Labour Zionists and the 'Revisionist' stream. To some extent he underplaysthe Altalena incident - he states thatIrgun ship was shelled by Ben Gurionand omits the fact that it was sunk in order to force the submission of the Irgun to main stream Haganah views, however he follows up by relating that the rift doesn't become symbolically healed until 1964 whenJabotinsky's body is reburied in Israel. On the Palestinian side he notes the factional violence between the Palestinian clans. Following the collapse of the Ottoman Empire the primary focus of the local Arabs wasnot a local nationalism but an orientation towards a Greater Syria based in Damascus. (pp97-98)Gelvin shows the gradual reorientation to a local nationalismas a result of the split by the League of Nations into areas administered by France and Britain. Gelvin also correctly parses Golda Meir's statement "there <> no such thing as Palestinians"(much misquoted as "are") as a reference to a time in the 1930's when Jews identified themselves as Palestinians andthe local Arabs activists identified themselves as part of some pan-Arab movement. What might have been more illuminating would have been a discussion of the alliances, some temporary, some permanent between Druze, Bedouin and Palestinian clans with the Zionists. The book could also be improved in its coverage of the planned pattern of expulsion and dispossession of Mizrahi and Sephardi Jews from Arab lands.Mostlymiddle class in their countries of origin, they were forced to liquidate their assets to survive and were unable to take the proceeds (or much more than the clothes on their back) with them at a time that the State was not well equipped but obligated in its founding principles to take them in, which it did so willingly and without question.Undoubtedly they were disadvantaged over previous waves of immigration but the main story is that by and large they formed their own relationships, power bases and integration into the Israeli body politic and in this sense are no different than immigrant communities elsewhere. I do have problems with Gelvin's coverage of the 1982 Lebanon war and after.Here he chooses to channel Avi Shlaim's point of view rather than developing his own voice and it comes off sounding inauthentic.Though the main reason for the war was Palestinian terrorist raids from Lebanon against Israeli communities in the north the secondary reason was to protect Lebanon's Maronite communityfrom sectarian violence so that they could act as a permanent buffer. The massacre at Sabra and Shatillawas the primary reason for the failure of partnership between Israel and the Phalangists due to moral outrage within Israel. It was deemed better to have no partner at all than one that could commit such atrocities. In spite of these criticisms I find Gelvin's book fair and far ranging. His coverage of the early years of the Yishuv and of the Ottoman collapse are succinct. His use of Palestinian/Israeli poetry to discuss current sentiments is a bit quirky but it works.The middle years showing the relationship of the Palestinians to various Arab governments needs a bit more fleshing out IMHO. He is willing to examine nuances such as the differences between Hamas in Gaza vs. Hamas in the West Bank and the position of rival factions. He also challenges conventional notions that anti-Zionist sentiment was solely Islamic.While it is true that the 1929 Arab riots were started over (falsified) claims that Jews were trying to take over the Al Aqsa mosque compound there were many religious Muslimswho were friends to the Jews and Gelvin points out that some of the more radical 1930's anti-Zionist spokesmen came from Christian communities. My copy is the 2nd edition.In future revisions I hope he will expand more on this kind of analysis. As a college text or for a reading club it would serve as a good jumping off point for further discussions and investigations.Recommended. Like Gelvin's other general readership work, The Modern Middle East (Oxford University Press, 2005), this is more an analytical essay than traditional textbook.In a field of study that is almost impossibly broad, this work aims to center on central themes and problems rather than a step-by-step narrative of events.More than anything else, reading this work is like sitting down with a very smart, very knowledgeable person for many cups of coffee: you learn a lot, but a lot gets breezed by as well. And the time passes quickly. This emphasis on the "big picture" is both the book's greatest strength and its most significant weakness.Although aimed at undergraduates and a general audience, without recourse to other works, the reader may not feel that they have a sufficient grasp of chronology or of major actors.For this reason, readers may well find a basic textbook like those by Charles Smith or Mark Tessler to be of value.At the same time, what this work offers - far more than any other work that I know of - is an understanding of the Arab-Israeli conflict as rooted in the very modern problem of nationalism.In a field that often gets caught up in the details or polemics, this broad approach is both engaging and intellectually provocative, offering the reader a means of seeing the Arab-Israeli conflict in a broader context than is generally offered. Gelvin's breezy style is, at times, too dismissive and, while he argues that both Zionism and Palestinian nationalism are both modern constructions, his fundamental sympathy for the Palestinian cause is clear. This "imbalance" will, no doubt, engage some readers and annoy others.Regardless of political inclinations, however, there are few readers, either novice or specialist, who would not benefit from a careful reading of this engaging and important survey. As an amateur historian, I appreciate it when I read a book that takes an over-exposed subject and makes it fresh.Gelvin is a superb historian and writer as well as a polymath who is entirely comfortable writing about politics, literature, international exhibitions, poetry, and world history.He uses a short story by the Jewish-Austrian writer Joseph Roth to investigate how and why European Jews turned to nationalism, archaeological evidence to describe how nationalisms like Zionism remake national histories, Palestinian poetry to elaborate the experience of exile, and biographical sketches (Theodor Herzl, Ariel Sharon, Yasir Arafat, Mahmoud Darwish) to make history come alive.His writing is fluent, witty, and never pedantic.I almost felt guilty reading a book this enjoyable about such a bloody and endless conflict. I've read many books on the Israel/Palestine conflict (Smith, Tessler, Bickerton/Klausner, etc.) but this one is by FAR the best.First, it's actually fun to read.Gelvin writes as if he is there in the room having a conversation.The book is peppered with jokes and wry observations, and although Gelvin obviously knows his way around the academic world, there is none of the usual academic jargon.Second, most historians present history as one disconnected thing after another.Gelvin states a theme at the beginning of the book and sticks to it.For Gelvin, the conflict has had three phases: the first involved the initial encounter between two peoples (Jewish settlers and Arabs); the second began in 1948 when it was defined as an interstate "Arab-Israeli conflict" and the Palestinian question dropped off the map for most of the world (except the PLO); the third began in 1993 when Israelis and Palestinians recognized each other and brought the conflict full circle.This should be obvious, yet no one else I've read has said this directly.Also, the author keeps reminding the reader of the global context for the conflict, from the emergence of nationalism in Europe and its impact on Jews and Arabs in the nineteenth century to the impact of the end of the Cold War. This is definitely a five star book, but I can see how it will drive some people nuts (i.e. those who can't bring themselves to use the words "Palestine" or "Palestinian" in their reviews).Zionists claim their nationalism is special, but Gelvin points out that it is pretty much a typical 19th century nationalism: it reconstructs Jewish history in its image, it insists that Jews have a right to establish a sovereign state on a piece of land they ruled thousands of years ago, etc.But all nationalisms do the same thing.What will really drive people nuts is that Gelvin shows how much Zionism and Palestinian nationalism resemble each other: both invent traditions, both claim to fulfill their peoples' national destinies, both have used terror to accomplish their goals.Gelvin doesn't let the Zionists off the hook, but he doesn't let the Palestinians off the hook either.Just read his analysis of the PLO doctrine of armed struggle or his profile of Arafat.His argument here is simple: while both national movements have a lot to answer for, if you accept the right of Jews or Palestinians to self-determination, you really can't ignore the right of the other side to self-determination either. One small criticism: I read another book by this author (The Modern Middle East) in which he added inserts with anecdotes and stories that were related to points raised in the main text.They were a really good read, and I wish he did the same in this book. Gelvin is a professor who knows plenty of facts.But that does not stop him from misleading his readers in this piece of propaganda. This book does have some really interesting material in it.Some of it is about Masada.Here, the author complains that the traditional Masada story is pretty far off.I tend to agree with much of what Gelvin says here.But I also feel that Gelvin is wrong to imply that Masada is being used as an excuse by Jews for the policies of Israel.I think Israeli policies are typically driven by a desire of Israel to protect the rights of its citizens. The author discusses Golda Meir's comments about the Levantine Arab nation not having existed prior to 1967.Gelvin and I disagree here: he says that Meir's claim was absurd, while I say it was accurate.As a matter of fact, I think the Levantine Arabs still do not behave like a nation.They do not ask for rights for themselves.They do not ask for land.They ask only for less rights for Jews.They are more like the Sudeten Germans, who did not ask for independence, but merely for an end to Czech independence.Or the Ku Klux Klan, which does not ask for freedom for Whites, but an end to freedom for Blacks. Gelvin spends some time discussing the Levantine Pavilion at the 1939 New York World's Fair.This exhibit looked like an idealized Jewish "tower and stockade" construction.And I found the whole section quite interesting.But I was shocked that Gelvin did not appear to take a strong stand against the way the British were treating the Jews at the time.As I see it, the British White Paper of 1939 was one of the most obviously evil acts of a rather wicked twentieth century.I can't imagine why anyone would want to appear to be neutral about it.But Gelvin implies that the Jews should have been more moderate, at a time when we can all see that moderation was totally unsuccessful in preventing a truly huge disaster in which millions of Jews were murdered.That's quite a view to take. Just to make sure that we readers can be sure where Gelvin stands, he then whitewashes the "poetry" of racist thugs such as Mahmoud Darwish.And he casually mentions that the Jews took land that belonged to the Arabs.But wait a second.Does all land belong to the Arabs?Even land that wasn't Arab before, or was sold by the Arabs to others?Gelvin is misleading his readers quite badly here by implying that all of the Levant was (and is) rightfully Arab land.And he has to know better than that. In my opinion, if the Arabs want peace, they can have it in five minutes, just by calling off their war and abiding Jewish rights in the region.I suspect the Jews truly want peace, even one that may not be totally fair to them.But it doesn't matter: the Jews would have no choice but to accept such a peace, since they need peace to survive and prosper. I think we need some scholarly works on the Arab war against Israel, rather than all the propaganda we see.And I think that Gelvin knew enough material to write such a book.Unfortunately, he did not write that book.He wrote this one. A fine work by an old soldier. Anyone interested in the Battle of Agincourt or the final stages of the hundred years war should avail themselves of this excellent and accurate work. 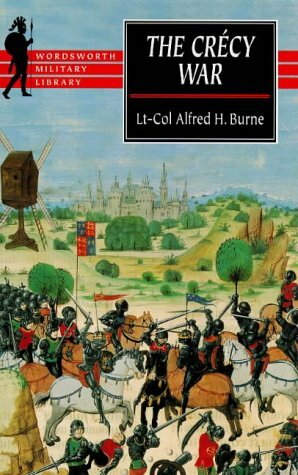 Having served in France during WWII and given his personal review of the Agincourt battlefield some years later, Burne is equipped to draw well founded conclusions about conditions leading to the devastating defeat of the French forces. From the most efficient placement of archers and men at arms to the over-done excuse of mud as a primary contributing factor to the battle's outcome, Burne will increase your knowledge and enjoyment of this extraordinary event in 15th century warfare. The description of the actual Agincourt battle is fairly short and rather opinionated, but the overall book is excellent. It's good coverage of the latter parts of the Hundred Year War, including Agincourt, Joan of Arc's campaigns, and the overall failure of the British war in France. There are some aspects of the war, and the battle of Agincourt, that are controversial, so don't take each and every statement to be gospel. Good book though. Interesting, but also quirky and out of date. Nice try, but not an astonishing one, not even for a "summary"
This is a nice book for getting into the fascinating theme, but it has its flaws. The main problem with it is: First chapters are way better, both in data and writing, but the more you progress towards the last page, the text becomes more unsubstantial and boring, with some chapters -imho- that are not even worth reading, specially the last chapters, wich are full of void considerations and interpretations of no interest at all. Anyway, don't hesitate to give it a try if you are not into the subject. I wish the author could write another version of this without the last 30 pages. I was looking for a text book, as opposed to a novel, about the Hundred Years War between England and France.Allmand's book is full of information about how the war affected the transition from middle ages feudalism to nation states, more centralized government (ugh! ), and values at the time.If you want detailed battle descriptions, this is not the book to read.If you want to learn a lot about the period, this is it.The book is both factual and insightful. Read this for graduate history course in medieval history. Christopher Allmand, is an excellent historian who tells the story of the Hundred Years War in a very succinct manner.End of 14th C England emerges with a real national identity.Edward III 1327-77.An example, 1362 Edward III has official records kept in English, not French, moving away from Norman influence, this is a defining moment.This helps English literature to flourish.A political identity is being built as well. Edward III (13 November 1312 - 21 June 1377) was one of the most successful English monarchs of the Middle Ages.He remained on the throne for 50 years; no English monarch had reigned as long since Henry III, and none would until George III.Having restored royal authority after the disastrous reign of his father, Edward II, he went on to transform England into the most efficient military power in Europe.To a large extent, Edward III can be credited with the birth of the English nation. He pushes idea of 100 Year's war his reign saw vital developments in legislature and government--in particular the evolution of the English parliament--as well as the ravaging of the Black Death.Where 1/3 population dies which also causes him to scale back on 100 Year's war. Parliament as a representative institution was already well established by the time of Edward III, but the reign was nevertheless central to its development.During this period membership in the English baronage, formerly a somewhat indistinct group, became restricted to those who received a personal summons to parliament.This happened as parliament gradually developed into a bicameral institution. Yet it was not in the House of Lords, but in the House of Commons that the greatest changes took place.The widening of political power can be seen in the crisis of the Good Parliament, where the Commons for the first time--albeit with noble support--was responsible for precipitating a political crisis. In the process, both the procedure of impeachment and the office of the Speaker were created.Even though the political gains were of only temporary duration, this parliament represented a watershed in English political history. The political influence of the Commons originally lay in its right to grant taxes.The financial demands of the Hundred Years' War were enormous, and the king and his ministers tried different methods of covering the expenses. The king had a steady income from crown lands, and could also take up substantial loans from Italian and domestic financiers.To finance warfare on Edward III's scale, however, the king had to resort to taxation of his subjects.Taxation took two primary forms: levy and customs. The levy was a grant of a proportion of all moveable property, normally a tenth for towns and a fifteenth for farmland. This could produce large sums of money, but each such levy had to be approved by parliament, and the king had to prove the necessity. The customs therefore provided a welcome supplement, as a steady and reliable source of income.An 'ancient duty' on the export of wool had existed since 1275. Edward I had tried to introduce an additional duty on wool, but this unpopular maltolt, or 'unjust exaction', was soon abandoned.Then, from 1336 onwards, a series of schemes aimed at increasing royal revenues from wool export were introduced. After some initial problems and discontent, it was agreed through the Ordinance of the Staple of 1353 that the new customs should be approved by parliament, though in reality they became permanent.Through the steady taxation of Edward III's reign, parliament--and in particular the Commons--gained political influence.A consensus emerged that in order for a tax to be just, the king had to prove its necessity, it had to be granted by the community of the realm, and it had to be to the benefit of that community.In addition to imposing taxes, parliament would also present petitions for redress of grievances to the king, most often concerning misgovernment by royal officials.This way the system was beneficial for both parties.Through this process the commons, and the community they represented, became increasingly politically aware, and the foundation was laid for the particular English brand of constitutional monarchy. In the 1356 Battle of Poitiers against Edward, the Black Prince (son of King Edward III of England), John II suffered a humiliating defeat and was taken as captive back to England.As a prisoner of the English, John was granted royal privileges, permitted to travel about, and to enjoy a regal lifestyle.At a time when law and order was breaking down in France and the government was having a hard time raising money for the defense of the realm, his account books during his captivity show that he was purchasing horses, pets and clothes while maintaining an astrologer and a court band. The 1360 Treaty of Brétigny set his ransom at 650,000pounds and 1/3 French territory.In keeping with the honor between himself and King Edward III, and leaving his son Louis of Anjou in English-held Calais as a replacement hostage, John was allowed to return to France to raise his ransom funds.While King John tried to raise the money, his son Louis, accorded the same royal dignity, easily escaped from the English. An angry King John surrendered himself again to the English, claiming an inability to pay the ransom as the reason.The true motive of John's decision remains murky today, with many pointing to the devastation in France caused by war with England and the Jacquerie peasant uprising as likely candidates.His councilors and nearly the whole nation was critical of the decision, since they had raised the ransom through painstaking sacrifice.However Jean arrived in England in early 1364, looked upon by ordinary citizens and English royalty alike with great admiration.Accordingly, he was held as an honored prisoner in the Savoy Palace but died in London a few months later.His body was returned to France, where he was interred in the royal chambers at Saint Denis Basilica. Richard II (6 January 1367 - 14 February 1400) was the son of Edward the Black Prince, Prince of Wales, and Joan "The Fair Maid of Kent".He was born in Bordeaux and became his father's successor when his elder brother died in infancy. He was deposed in 1399 and died the next year.He was arrogant and had problems with Barons; he wanted to be more of an autocrat.As Richard began to take over the business of government himself, he sidelined many of the established nobles, Instead he turned to his inner circle of favorites for his council, men such as Michael de la Pole, whom Richard created Earl of Suffolk and made chancellor of England. The nobles he had snubbed formed the head of a group of the disaffected who called themselves the Lords Appellant.The central tenet of their appeal was continued war with France against Richard's policy of peace, an aim that many of them pursued in the interests of personal gain since it is the best way for them to make money by looting France.Rather than the interests of the nation. In 1387, the English Parliament, under pressure from the Lords Appellant, demanded that Richard remove his unpopular councilors.When he refused, he was told that since he was still a minor, a Council of Government would rule in his place.Richard had the Earl of Arundel, leader of the Lords Appellant, arrested; but Richard's small army led by de Vere was overpowered by the forces of the Lords Appellant outside Oxford, and Richard was imprisoned in the Tower of London.Subsequently Richard agreed to hold a parliament in order to resolve the Appellants' grievances; the unpopular councilors were forcibly disposed of (eight being executed for treason and the others exiled) in the Merciless Parliament of 1388.Richard was forced to accept new councilors and was temporarily stripped of almost all his authority.By 1398, some of them are repealed. However, Richard was more concerned with Gaunt's son and heir Henry Bolingbroke, (Lancaster his cousin) whom he banished for ten years on a spurious pretext in 1399.After Gaunt's death, Richard also confiscated Bolingbroke's lands, this is seen as a violation of Baron's rights. Bolingbroke's inheritance was huge, large enough to be seen as a small state within the greater state of England and thus an obvious obstacle on the path of a unified and peaceful England.At this point Richard left for a campaign in Ireland, allowing Bolingbroke the opportunity to land in Yorkshire with an army provided by the King of France to reclaim his father's lands.Richard's autocratic ways, deeply unpopular with many nobles, facilitated Bolingbroke's gaining control quickly of most of southern and eastern England.Bolingbroke had originally just wanted his inheritance and a reimposition of the power of the Lords Appellant, accepting Richard's right to be king and March's right to succeed him.However, by the time Richard finally arrived back on the mainland in Wales, a tide of discontent had swept England.In the King's absence, Bolingbroke, who was generally well-liked, was being urged to take the crown himself.Richard was captured at Flint Castle in Wales and taken to London, where crowds pelted him with rubbish.He was held in the Tower of London and eventually forced to abdicate.He was brought, on his request, before parliament, where he officially renounced his crown and thirty-three official charges (including `vengeful sentences given against lords') were made against him.He was not permitted to answer the charges.Parliament then accepted Henry Bolingbroke (Henry IV) as the new king. Richard was placed in Pontefract Castle, and died there in 1400.He is believed to have been killed by starvation (perhaps he refused to take nourishment and starved himself) or otherwise murdered.Richard was dead by 17 February.By 1400, England has a stable government.You see the tensions play out between King, Barons, and Parliament, Edward III did well at this. France- Lots of problems.It has a much larger population 10-12 million as opposed to England's 3-4 million.This makes the country unwieldy to deal with.It also suffers from bad politics from a slew of bad kings.Philip IV the Fair (French: Philippe IV le Bel) (1268 - November 29, 1314) was King of France from 1285 until his death in 1314.The Valois Dynasty succeeded the Capetian Dynasty as rulers of France from 1328-1589.They were descendants of Charles of Valois, the third son of King Philip III and based their claim to be ahead of Edward III of England and Jeanne de Navarre on a reintroduction of the Salic law. Philip VI of Valois (French: Philippe VI de Valois; 1293 - August 22, 1350) was the King of France from 1328 to his death, and Count of Anjou, Maine, and Valois 1325-1328.He was the son of Charles of Valois and founded the Valois Dynasty. Charles V the Wise (French: Charles V le Sage) (January 31, 1338 - September 16, 1380) was king of France from 1364 to 1380 and a member of the Valois Dynasty.His reign marked a high point for France during the Hundred Years' War, with his armies recovering much of the territory ceded to England at the Treaty of Bretigny. Charles VI the Well-Beloved, later known as the Mad (French: Charles VI le Bien-Aimé, later known as le Fol) (December 3, 1368 - October 21, 1422) was a King of France (1380 - 1422) and a member of the Valois Dynasty.The king would suffer from periods of mental illness 1/2 his life.This is disastrous for France. France doesn't have Parliament or any central control due to fact the King was never able to interfere with the autonomy Baron's had in the lands.Also political problems because many French baron's side with the English.In addition, the English are used to having assemblies under Anglo-Saxon rule, French have no such tradition.French king has great councils like English Privy but it's not well defined.No exchequer, but 2 men in control of money, income and expenditure, thus both become corrupt, spendthrifts, bankruptcy.French kings have habit of devaluing money.The 100 Year's war goes bad for them which causes them trouble.He has no money to pay his professional army, so they become organized bands of highwaymen and robbers even laying siege to towns for ransom money.The French country is scarred by war thus harder to get tax revenue from people. Lavish living among nobility.Systematic taxation becomes harsh by 1356 because they are having to raise ransom money.Bureaucracy has to use non nobles so they will be loyal to the king and not their family interests.Court is 500 people who are a drain on money, don't do much.Only 200 bureaucrats do the real governing of the country.Flanders is a constant problem for them.Textile manufacture using English wool makes them close allies against French interests.Gascony in France is an English possession.1347-50, low point for taxes because of devastation of plague.1330's 210K hearth tax, 1378 30K this is a big drop. Recommended reading for those interested in medieval history. both books together cover from 1339 to 1369 only. 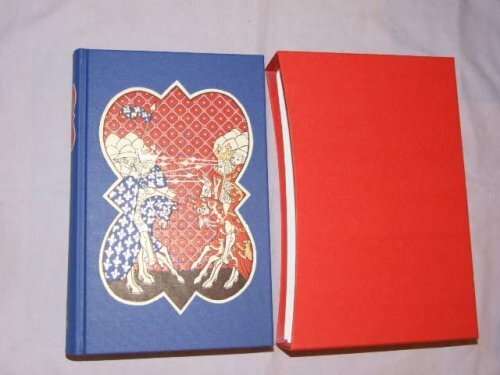 This is the first book(part 1) of the authors' lengthy study of the hundred Years and covers from the beginnings of the war to a little after Crecy.He starts by comparing the 2 kingdoms of France and England,with France appearing to be 5 or 6 times more populated than England and France with alot more financial resources.French allies are also formidable with the Italian kingdoms including Genoa which had a powerful navy and well equipped army.True,Genoa was a "piracy type" kingdom but with really deep pockets.England at this time had vitually no navy of any consequence and relied on private contracts and war loans for transport.Privateers seemed like the English naval mainstay although Edward III had a few ships which he owned.The author spends alot of time on the English wool industry and its threats of economic embargo to get its way in continental politics. Other books I've read on this "King Cotton" type bullying downplay the English wool industry and point out that the Netherlands areas had previously sought out other alternatives to English wool.With the economies of France and England so unevenly matched how could the English midget overcome the French giant other than a cheap groin shot.As the author points out however,the main English way of financing their war was by "sneaky" taxes that people don't generally notice.The French rulers usedfluctuating coin valuations with some taxation.So the author concluded that while the French were more wealthy,the English ruling class were better able to get their hands on the "hard cash"which gave them a big advantage.The "jokers in the deck" that could overcome the odds were the alliances and here is where the author spends time on diplomacy and counter lawsuits of both English and French interests.The English policy is generally,"the enemy of my enemy is my friend".This includes the use of both papacies to legitimate the rival claims.After all noone wants to appear like the "bad guy". A groin shot however is fair in war.The French giant was badly arthritic and that was an awfully "scrappy" midget anyway. I liked the way the author spent alot of time on the conflict between Scotland and the English because this aspect of the 100 Years War is often either omitted or covered sparsely.It is important because the wars with Scotland gave the English practice and expertise in regard to strategies and combat as well as treacherous politics.The author points out the evolution of longbow tactics used by the English came about as the result of the numerous wars with Scotland.The French were tied to continental warfare practices,the crossbow and cavalry charges and the strategic retreats that can use up an opposing army through attrition more effectively than combat.Also this book gives a good deal of information on the moreeasterly Germanic speaking territories and their swinging alliances.So far the English to be somewhat the beneficiary of swinging Germanic sympathies,a love/hate relationship which will flower in Germanic speaking English kings and then degenerate to the worst later on.French nationalism is budding at this time and the author mentions that "France for the French"is becoming an issue in itself although still not prominent enough to overcome local infighting and schisms.Then there was the powerful Flemish influence,(the low countries below sea level)ruled by France on paper,but independent in reality and pro-English to the max. There is a good section of the book devoted to ransoms of captives(knights only worth 100 pounds), which could in some cases make this war not appear as so savagely conducted.After all why fight too hard when you could be ransomed and go home with honors(and spoils).Next year you might be on the winning side since the fortunes of war shift so rapidly during this conflict. Edward the Third vs. Phillip of France is the main billing in book 1. However you can realize that the general population must have suffered immensly from these roving bands of commissioned armies and freebooting mercenaries(as well as outright brigands).I was never able to figure out however if Edward the third really believed he was the King of France or if he was just asserting his realization that England was too vitaly immersed in Continental politics for his kingdoms' lifelines.Was Phillip of France a "milquetoast" or were his avoidance of battles more strategic hopes of attriting the English and their alliances.Still his strategy seems cold at times as the English and numerous bands of roving brigands roam the countryside virtually unopposed.In book 1 of Sumptions study the English seem to be gaining the advantage but with major setbacks. Book 2 spends alot of time giving account of the private companies and their "private wars" switching sides so often it's hard to keep track.The book spends alot of time on "escalades" by the companies,that is simply taking over a small town by stealth, or if the townhad a wall,by the use of ladders and from a read of the book, a bunch of brigands with a few ladders can do more damage than a major seige and cover alot of territory.Armies of today are more PR and politics but back then war is a trade much like a blacksmith,ready for hire to the highest bidder.And what is worse than an unemployed blacksmith or soldier(at least pre-welfare state)!Poitier and Crecy are only a small part of both books.The riots in Paris after Poitier rival any of the French Revolution period.Back then there was no "National Razor" so the mobs had to content themselves with bludgeonings.You can just feel Charles V's ,of France,anger and frustration at the English as he viewed the Paris mobs' handiwork.This book contains graphic medieval type descriptions of executions with lots of revenge slayings.Trial by Fire is an apt name.While in the first book the Low Countries are discussed often in book 2 Spain is the main focus.Charles of Navarre(A spainard)switches sides so often that I couldn't keep track and he actually makes it through book 2,(maybe by increasing his ransom value)? The overland campaigns of the Black Prince are covered well in the book.Remember well,1200 pages for 30 years but as easy to read as a comic book because of the author's human interest type focus.There are alot of histrionic speeches in the book where the speaker later eats his words(maybe a treaty bunched up and waddled as he is forced to chew the paper,cursing and salivating.) Book 2 ends as book 1 began,with the machinations of litigating lawyers,engaged in legal combat. 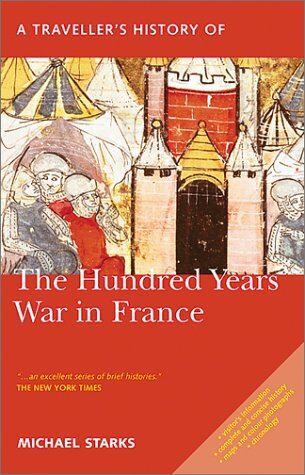 The Hundred Years war comes off in this series as more like a World War with all of Europe involved. the title says trial by battle but never once does any battle ever rate more then one or two sentences. this book is very slow. 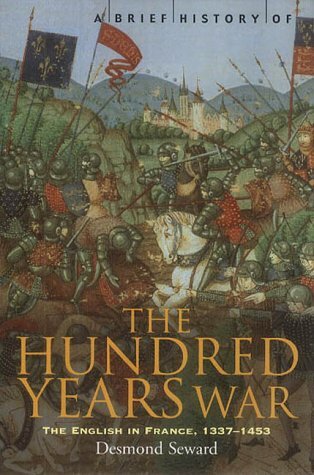 If you are looking for the total history of this conflict and era including the armour,weapons and battles hence the title the hundred years war trial by battle, this is not the book for you. Trial By Battle is a magnificent achievement. Though daunting to look at, the 600+ page narrative sweeps by with the excitement and suspense of a great novel. Sumption fails to give any real background details (the marriage of a king will be mentioned in passing without so much as a clue as to his wife's name!). We learn nothing of castle construction, arms and armour, architecture, geography, or anything else of the spectacle of life in 14th century Europe. But the step-by-step analysis of the intricacies of medieval politics more than compensates, throwing the reader headlong into the meeting rooms of the royal courts. The narrative, for all its complexity, never ceases to be anything but fascinating. The reader is able to see all the seemingly small and random details, the mistakes and misunderstandings and mistimings, and how they build to create a situation in which all out war is the only option. Trial by Battle isn't simply the best book I've read about The 100 Years War, but the best I've read about the challenges faced by the medieval politician, and the strategic maneuvering required to achieve an acceptable outcome. Brilliant. Sumption's history of this sordid and bloody conflict will be the defining opus of this era. In this first volume of 600 pages he covers intimately all aspects of the war's first 10 years. He is mostly skilled at both the economic and diplomatic machinations of the conflict, emphasising how armies were fielded and then supported. His scope is grand and he covers events as far away as Scotland, Flanders, Britany, and the Popes involvement from the Avignon palaces. His strategic interpretation is superb, without equal. He has an ability to get into the head of participants and show their ultimate motivation in fighting. Why particular courses were decided upon are also fittingly reviewed; why a campaign in Flanders? Why get involved in Britany? How did England ultimately expand and prevail in Aquitaine when their foothold was so tenuous? Why were the French completely unable to exploint a fundamental postion of strength by working with their internal lines of communication? All of these questions are answered in good detail. 1) Sumption is not writing a biography of any of the characters and although we understand a lot of their emotions in the heat of dimplomacy and battle, we hear little about the individual idiosyncracies of both Edward III and Philip VI. We learn almost nothing about their respective sons in this volume, which is amazing considering the future role they played. 2) Although this is a story of battle and slaughter, we are largely spared the details of the minutea of battle, who fought whom, the real intricacies of the weapons involved and the fate of those who were turned to bones. Sumption leaves that to other military historians who have written hundreds of pages on individual battles. There are however amazing revalations here about Crecy which deserve to be noted; Sumption notes that the repeat regrouping and charging of the English lines was not characterisitic of a disorganised French attack. As such this contracdicts the traditional version of the French falling over themselves in the battle. In the end the longbow won the battle. No new surpises here. 3) There is little actual focus on how the war effected the peasant. Perhaps because we know so little of them, but Sumption's research is so exhaustive that he purposefully concentrates on the diplomatic, military alliance structures and their respective figures. This was a major project to get through. I had to admit that times I did wander in my attention span. But the detail in the text is rich and his coverage of the impact of the war in Britany and the northern English Marches against the Scots, is something largely ignored by other historians of this war. I have already bought volume II and determined read all future volumes as he finishes.... although at this rate it will be a total of at least 10 volumes to get throught this particularly depressing interval in human history. 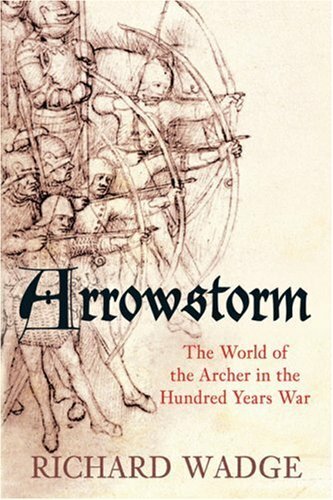 Revealing the power behind one of history's most devastating weapons, this study chronicles the overwhelming importance of the military archer in the late medieval period. The longbow played a central role in the English victory at the battles of Crecy and Agincourt. Completely undermining the supremacy of heavy cavalry, the longbow forced a wholesale reassessment of battlefield tactics. Richard Wadge explains what mad e England’s longbow archers so devastating, detailing the process by which their formidable armament was manufactured and the conditions that produced men capable of continually drawing a bow under a tension of 100 pounds. Uniquely, Wadge looks at the economics behind the supply of longbows to the English army and the social history of the military archer. Crucially, what were the advantages of joining the first professional standing army in England since the days of the Roman conquest? Was it the pay, the booty, or the glory? With its painstaking analysis of contemporary records, Arrowstorm paints a vivid portrait of the life of a professional soldier in the war which forged the English national consciousness.